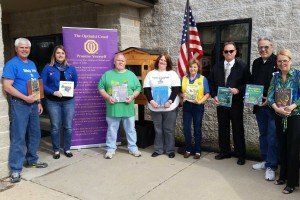 The Optimist Club of Wentzville-Lake Saint Louis has partnered with Lindenwood University to dedicate a new Lending Library at the Lindenwood University Ice Arena. 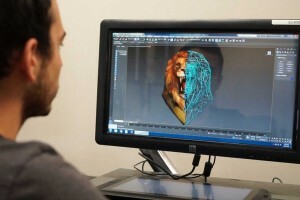 BestColleges.com ranked the Lindenwood University online Game Design program fourth best in the United States. 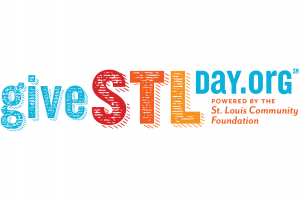 Lindenwood University is participating in Give STL Day on Wednesday, May 2, 2018. The goal is for 486 (18 x 27) donors to participate in Give STL Day! 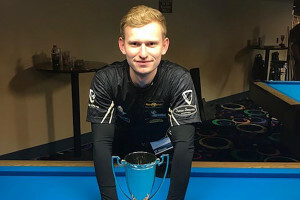 All donations will go to the Lions’ Reserve, which provides support for students whose funding has run out prior to graduation. Lindenwood’s Campus Organization Against Sexual Assault and its Greek community were covered by KTVI-TV in advance of a “Take Back the Night” walk they are organizing in St. Charles on Thursday evening, April 19, in Downtown St. Charles. Lindenwood alumnus Corey Patterson (‘02) was featured in an article in several publications about his journey from accountant to Big 10 football coach. 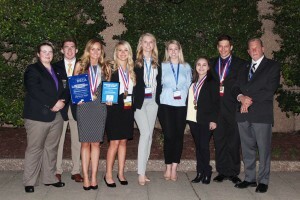 Lindenwood University’s Plaster School of Business & Entrepreneurship Collegiate DECA Competition Team earned nine awards at the International DECA Competition in Washington, D.C. The awards ceremony was held the evening of Saturday, April 14, at the Crystal Gateway Marriott in Arlington, Va. More than 1,000 students from all 50 states and several countries participated. 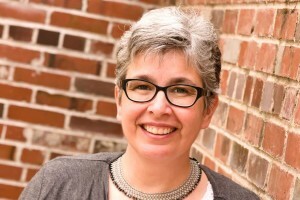 Award-winning author Ann Leckie will share her expert insight on crafting a compelling story April 25, 2018 at 7 p.m. at Dunseth Auditorium in Harmon Hall on the Lindenwood University campus. The Lindenwood University Collegiate DECA Chapter, through the Plaster School of Business & Entrepreneurship, recently won a leadership award for its dedication to DECA core values and principles of encouraging a well-rounded college experience for its members. The championships have been piling up for Lindenwood athletic programs. High jumper Akintunde Akinyemi, of the Lindenwood Lions track and field team, was recognized on April 4, 2018, by the St. Louis American newspaper as a College Athlete of the Week.